MUST CHECK for OFFICE WORKER, and HIKERS! Relieving your pains in your legs, hips and knees that are caused by the soles of your feet! “Healthy Feet PRO”the professional cushion sole support, making its debut! Relieving your pains and aches in your legs, hips and knees just like magic! Vastly supported by athletes and medical specialists all over the world. Not only approved by athletes of various fields, but even medical specialists for leg diseases, orthopedists and chiropractic surgeons have given their approval for the magical “Sole Support“. Effectively relieves pains in the feet, legs, knees and back caused by inappropriate use of the soles in everyday life; a painrelief product that has won high marks and tremendous support. 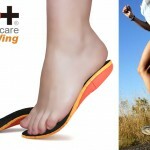 Also effective in reducing foot pains and fatigue caused by flatfeet that trouble many moderners. This time, through cooperation with the manufacturers, and under strict quality control, we have provided a “special OEM product” for the Japanese market that can be purchased from our shop. “How to use?” It won’t get any more simpler than thisjust put it on your feet! Its wide elastic band allows it to fit your feet snugly. ~For those of you who have these frustrations, you’ll be surprised at how effectively this product can take away all your pain and discomfort! 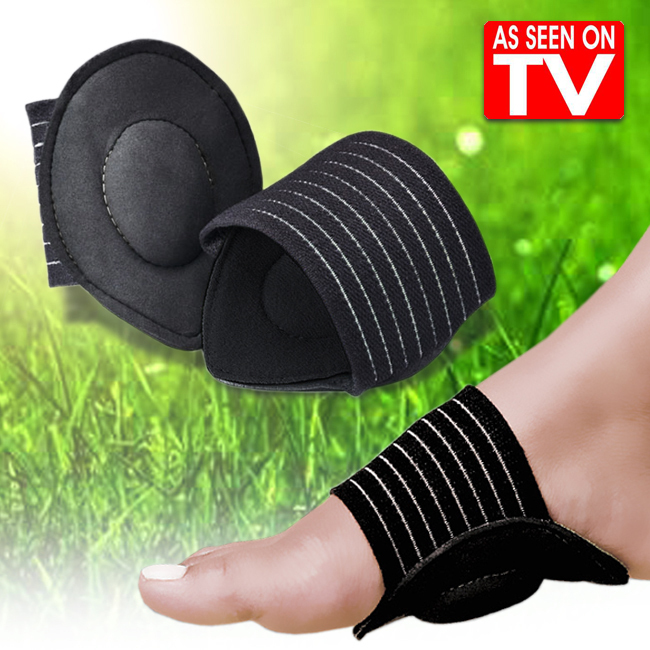 The neoprene ProCushion (shock absorber) used on the inside provides support for your soles. Eases the shock that spreads from the feet to the whole body. With this product’s effects, you will be able to maintain the balance of your body, relieve your knees, hips and back of their burden, and walk in total comfort. More so, it is also effective in relieving the pains of your heels, soles and thenars (the joint of your big toe) caused by longtime walking. A simple band that you can wear on your bare feet underneath normal shoes when going out. Moreover, this product is suitable for both men and women. Those who have been concerned about pains in their legs, knees and hips, this isn’t a chance you wouldn’t want to miss!